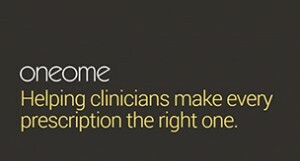 Mayo Clinic and venture catalyst Invenshure have announced the launch of Oneome, a genomics interpretation company that exports Mayo’s extensive pharmacogenomics knowledge in the form of concise, actionable reports to help providers anywhere deliver the right medication at the right time. “Our own genetic makeup can have a significant impact on how our bodies process and use prescription medication, which in turn affects whether or not a drug works the way our doctor intended,” says Oneome co-founder John Logan Black, M.D., a Mayo Clinic physician and co-director of the Personalized Genomics Laboratory in Mayo's Department of Laboratory Medicine and Pathology. Oneome reports will focus on providing pharmacogenomically driven guidance for medications with high levels of evidence in medical literature. Financial terms of the agreement were not disclosed. Mayo’s financial investment in Oneome comes from the Mayo Clinic Center for Individualized Medicine. Individual patients may have minor but significant variations in hundreds of genes. Some of these can result in potentially life-threatening reactions to a medication that may be perfectly safe for most of the population, while others make prescriptions less effective. Some people, for instance, cannot process the common pain relievers codeine and tramadol, rendering the drugs ineffective against pain. Other people process the drugs too quickly, giving the patient a rapid and dangerous pulse of relief, which may result in accidental overdose. In many cases, a patient’s genomic information offers insight into how that person is likely to respond to a particular medication. Invenshure co-founder and Oneome CEO Troy Kopischke says combining his company’s data processing platform with Mayo’s pharmacogenomics knowledge base positions Oneome to meet a critical and untapped need in clinical care. Research and development of the algorithms come from the Mayo Clinic Department of Laboratory Medicine and Pathology and the Mayo Clinic Center for Individualized Medicine. Dr. Black has a financial interest in Oneome and the technology described in this release. Revenue Mayo receives is used to support the clinic’s nonprofit mission in patient care, education and research.